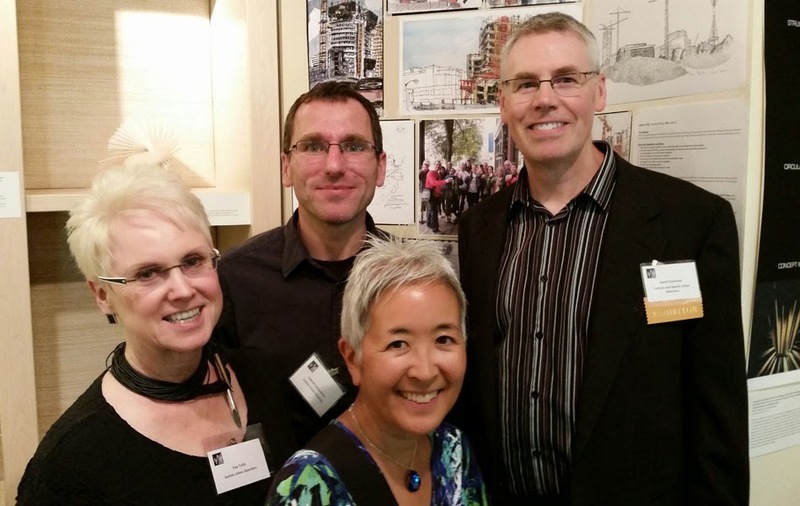 The nonprofit group Seattle Architecture Foundation invited Urban Sketchers Seattle to participate in its annual model exhibition. 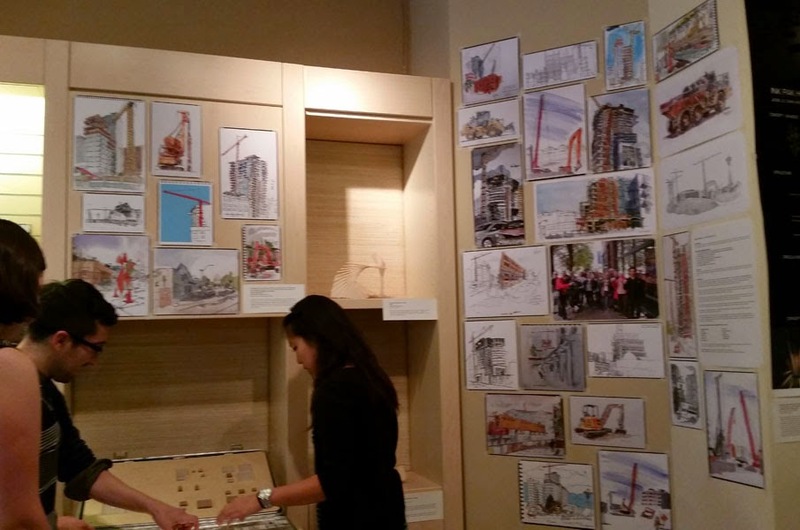 With the theme “In Process,” the exhibit is ideal for showing sketches of construction sites and other constantly changing projects in the Seattle area. A number of Seattle Urban Sketchers contributed sketches for the show. In addition, Logan Bingle, Kate Buike, Gabi Campanario, David Chamness, Mark Selander, Kay Tyllia, Jane Wingfield, Gail Wong and I all donated original sketches for the silent auction to raise funds for the foundation. Thanks to David for getting us organized and managing all the digital images for the show! Gabi gave a brief talk to the crowd about Urban Sketchers and the value of hand-drawn images. 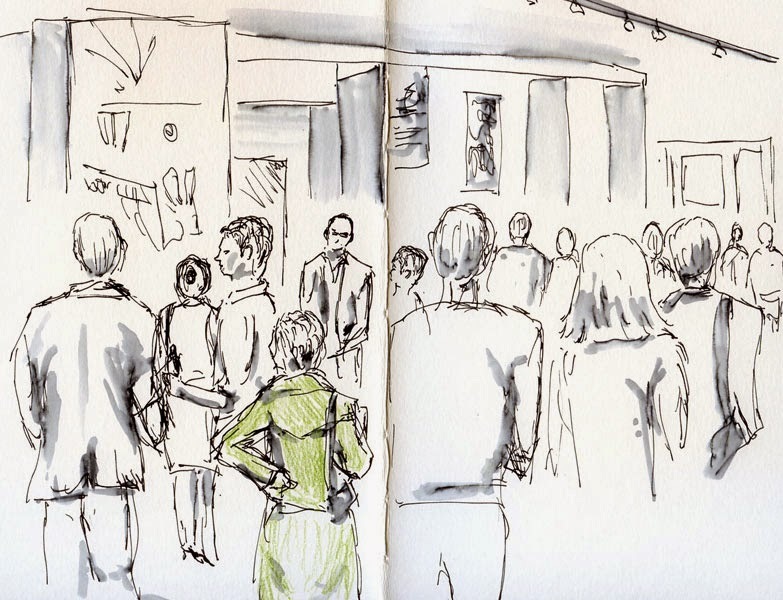 Here's part of Urban Sketchers Seattle's exhibit of sketches. At the opening reception last night, I was fascinated by the many creative 3-D models of real and imagined buildings and environments. While video and other digitally displayed models are cool to view, I was most impressed by intricate models that were hand-cut and assembled the old-fashioned way. Call me a Luddite – I like paper, pen, cardboard and glue! Urban sketchers were encouraged to sketch during the reception, so I stood at the top of a short stairway to get a view of the mobbed exhibit room, but all I managed to sketch was a lot of backs! The show is still on through Oct. 3 at 407 Union Street, so check it out!